This year is the first time I’ve considered Easter bunny duties of my own, and since Nino’s still a little too young to be eating his own body weight in chocolate, I’ve bought some plastic eggs to fill with raisins, cereal and other tiny finger (and tummy) approved treats. While our littlest loaf is rampaging round his Grandma’s garden, eating these ‘treats’ whilst no doubt terrorising the resident wildlife and attempting to eat the plants, the adults will be enjoying an altogether more indulgent affair. 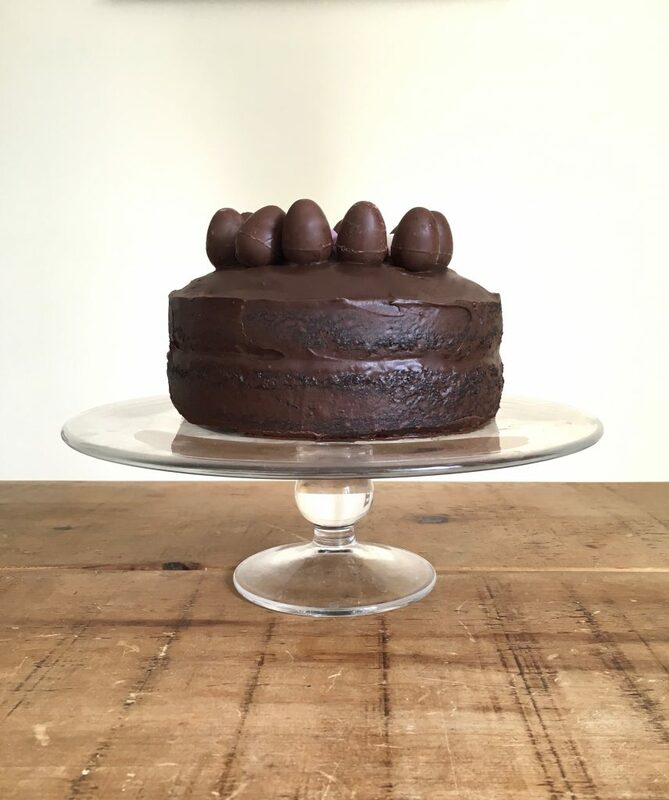 This chocolate cake comes cloaked in a rich cocoa ganache and topped with the obligatory miniature eggs. This year we’ve been particularly loving the speckled praline eggs from Hotel Chocolat (like mini eggs but three times bigger and praline flavoured, so good!) and peanut butter filled delights from Montezuma’s, but any eggs will do. 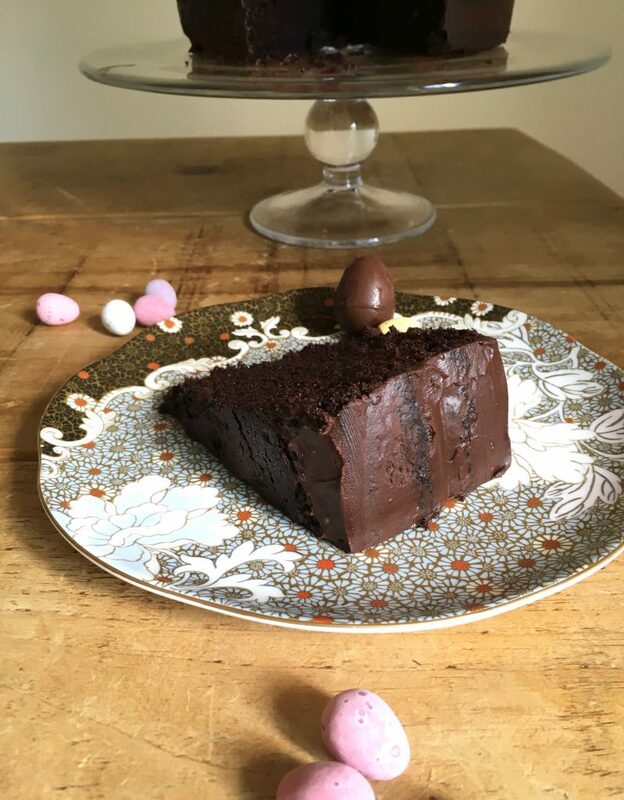 You can find the full recipe for Easter Chocolate Cake on the Great British Chefs website. Love this unexpectedly adult Easter treat! Yes! 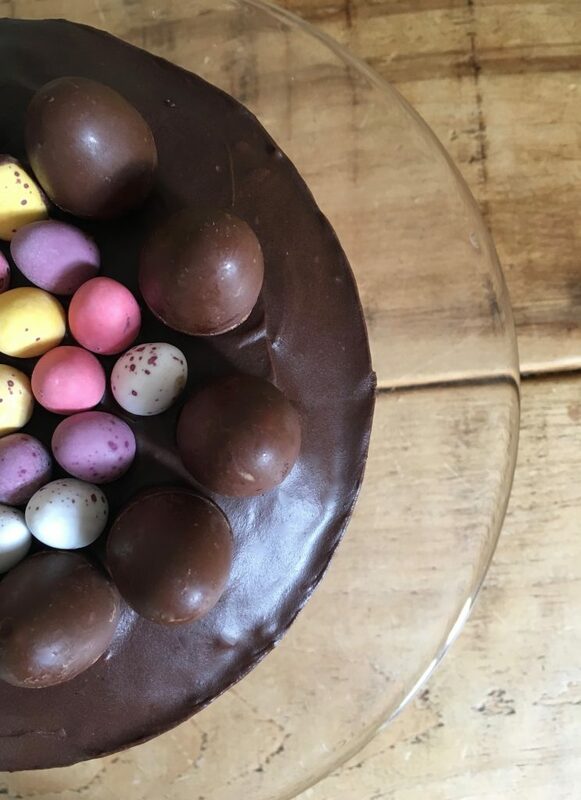 Any cake which pushes the boundaries of normal mini eggs and Cadbury’s chocolate gains my vote – and I even love the slightly odd design of this cake. It’s not beating around the bush (like Nino might be, looking for those eggs) or pretending to be less indulgent than it is. 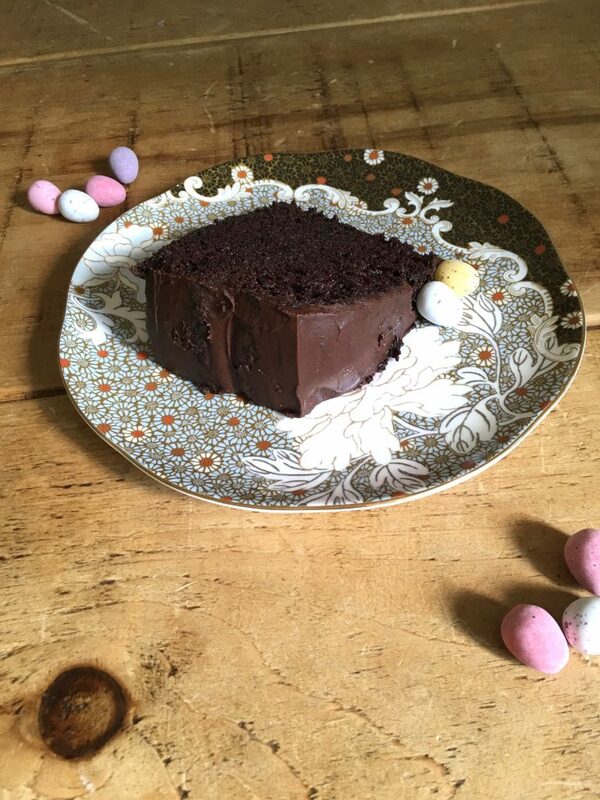 As ever, I had great fun making one of your recipes, albeit Easter is over and done with. I’d managed to get hold of the requisite eggs, so I was determined to make it sooner or later. I wanted to check that the icing shouldn’t have any melted chocolate in it, rather than just cocoa? 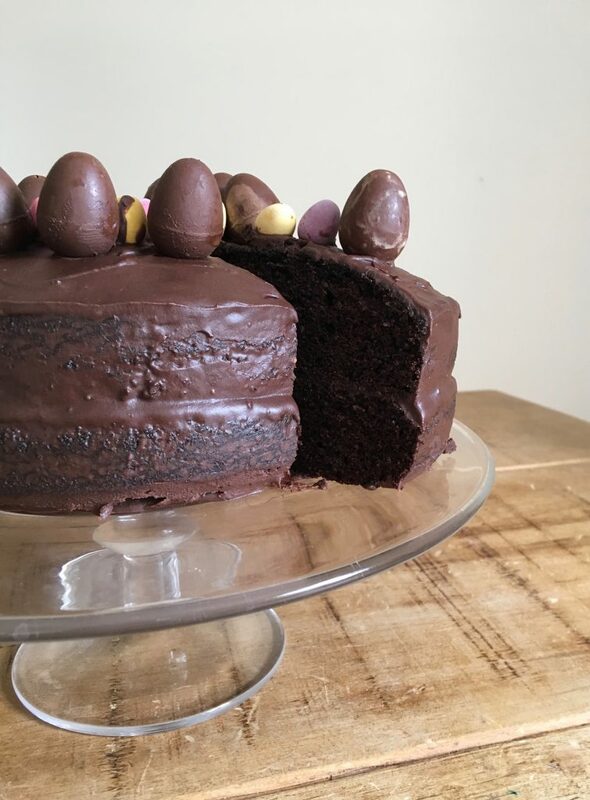 It was super runny and not as dark as the ganache in your picture, so I wondered whether an ingredient had got missed out in the recipe being added to another site? It’s so kind of you to reply. The ganache was super runny, so I left it to thicken up for at least 30 minutes (perhaps should have added some more icing sugar at this point?) but as your recipes have never failed in the past I slathered it over the cake. The eggs then proceeded to avalanche off the cake every 5 seconds, with my 17 year old explaining the physics behind what was happening. It became a full-time job for the next 30 minutes trying to keep the eggs on the cake. It kept us all amused.